FIVE DAY NOVEL is a self-challenge for NaNoWriMo participants willing and able to write 50,000 words over the course of any five consecutive days. 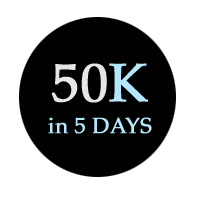 You can connect with other authors undergoing the challenge by following the #50K5days tag on Facebook, Instagram, and Twitter. WINNING is based on the honor system—no verification needed! Simply grab a winner's badge starting November 5th and display it proudly. 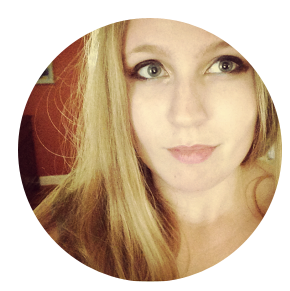 FIVE DAY NOVEL is managed by Kat Mellon, an avid NaNoWriMo participant. You can visit my writing blog at blog.katmellon.com. I also design blog templates, book covers, and promotional materials at kmwritingdesign.com. IF YOU'RE LOOKING for an even greater challenge, check out NaNoWriMo's Beyond 50K forum. Please note that this website is not affiliated with or endorsed by NaNoWriMo.